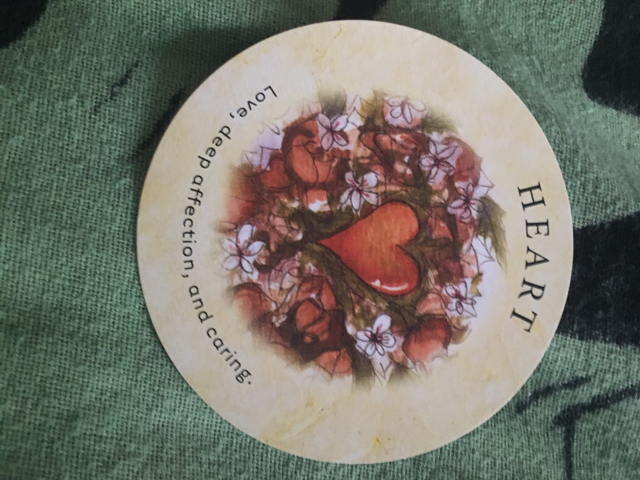 Recently I pulled out the card heart on my tea leaf oracle deck, when I asked about my romantic life over the next two months (April and May) it came in under April. I drew five cards for each (it's over in your reading titled April - May). In the book the description is " a beautiful heart of encircled with newly bloomed red roses. This card of caring indicates that you will either feel love or deep affection for someone or that someone will have feelings or deep affection for you." But I'm wondering if any off you guys have had this card in a less literal sense?